In December, Kunsthal Charlottenborg will be opening its doors to the most comprehensive showing ever of the works of XXXXXXXX, when the Danish artists’ group's 20th anniversary is celebrated with an unconventional retrospective exhibition. Eight internationally renowned curators are presenting eight simultaneous XXXXXXXX exhibitions – and one of the exhibition concepts bans both Charlottenborg and the art group itself from using the name XXXXXXXX. Social Pudding addresses the communities of Leipzig, with dynamic workshops and events focusing on the making and sharing of a plate of pudding. 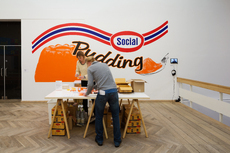 Participants are invited to come to the Pudding Social, to exchange and create their own pudding. 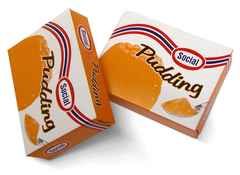 Rather than explore a fabric of society, Social Pudding is interested in the pudding of society, the convergence of social, business, personal and everyday activities. 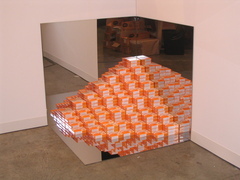 The pudding product, a combination of distinct layers, consists of orange and coconut flavours. 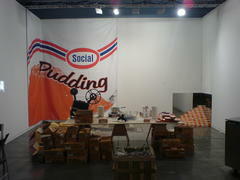 Social Pudding workshops have previously been held in Thailand.